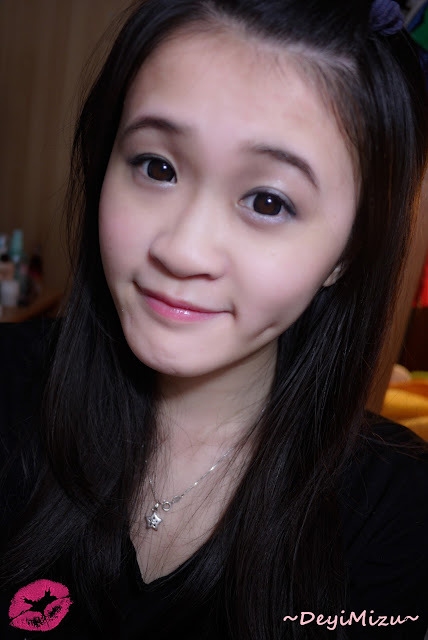 Have you seen my Influenster Beauty Bloggers VoxBox post yet? If not, please check it out to see what is included in this box! 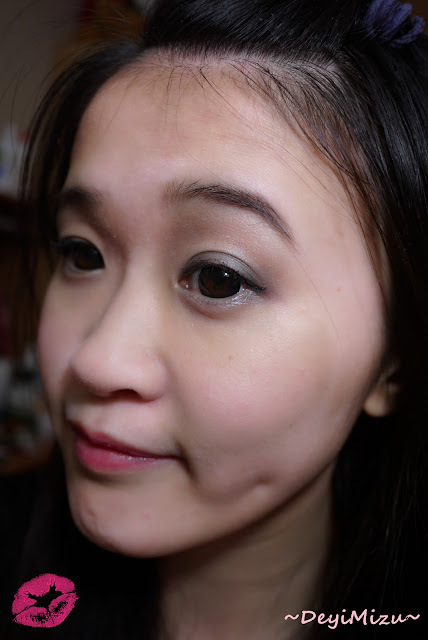 This NYC Individual Eyes Custom Compact in Dark Shadows is included in the VoxBox. 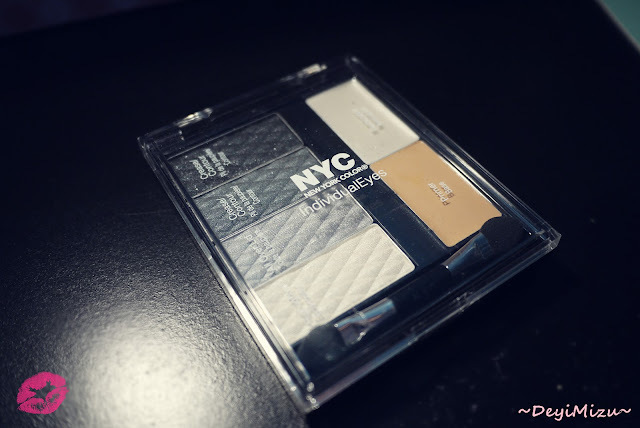 I have tried NYC products in the past so I am very excited to this palette from them. This all-in-one compact comes with everything you need for a complete eye look: primer, illuminator, applicator and four eye shadows. Want to see if I like them or not? 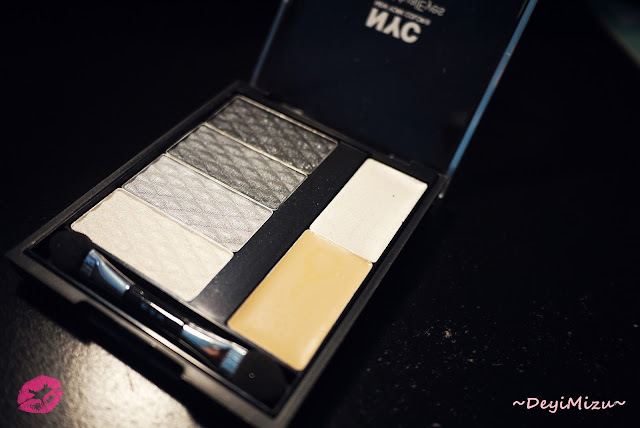 The shadows include a frosty white highlighter, a light shimmery grey, a metallic grey and a black shimmery color. I find that the two darker shades are a bit similar. 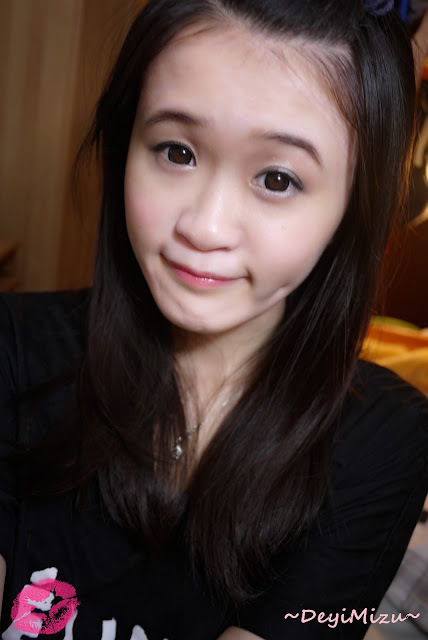 I wish the darkest shade would be darker to be a good contour color to my eyes. The pigmentation is okay without a primer and it is good with a primer. 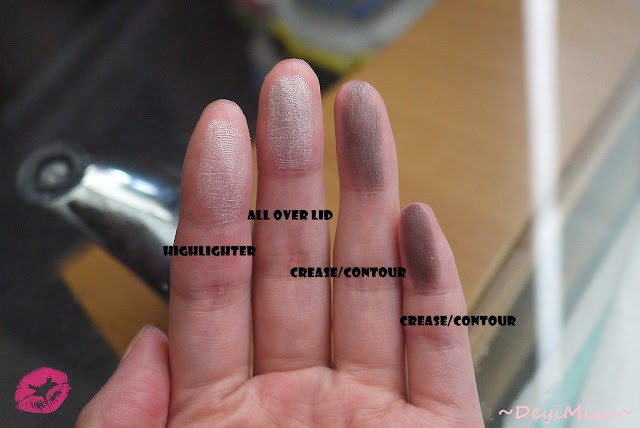 I'm surprised that these shadows aren't chalky at all. They go on my eyelid pretty smoothly and give a buttery feel. I do have to say that I don't really like the primer that comes with the palette. The eye shadows still creases on my eyelid but even though with another primer, the shadows still smudges a bit on the bottom lash line after a period of time. The illuminator is okay, a great color to highlight cheek area.